The night before camp, Tonya (a former City Impact student), dropped off her youngest daughter, Layla, at City Impact’s annual lock in. The building was buzzing in anticipation of the week ahead. Our students were headed to Golden, Missouri early the next morning to spend a Christ-centered week of transformational growth at Kids Across America (KAA) Camp. Tonya was disheartened, needing someone to confide in about her 15 year old daughter, Jazmyn. She was falling in with the wrong crowd at school, making poor decisions, refusing to come to City Impact Youth, even deciding at the last minute not to go to KAA. 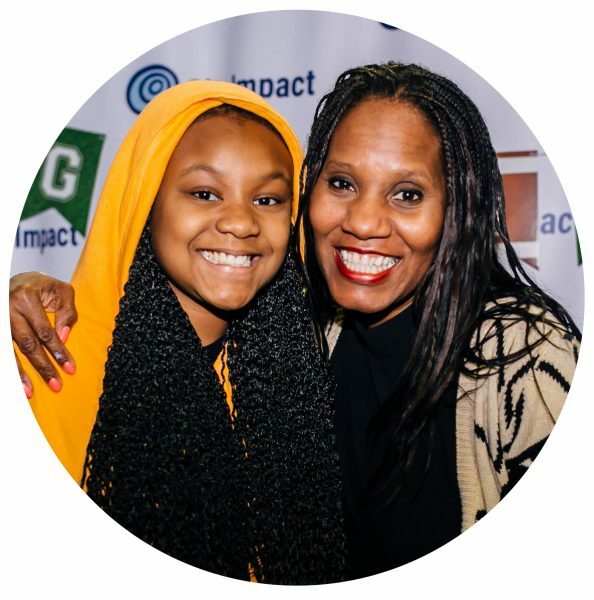 Tonya spoke with City Impact staff member Angela, who felt led to meet with Jazmyn that night. Tonya brought Angela to their home, where she sat down with Jazmyn who confessed feeling distraught, lonely, and out of place. Angela empathized with the teen, recalling the difficulties of young adulthood and reassuring Jazmyn of Jesus’ love for her. 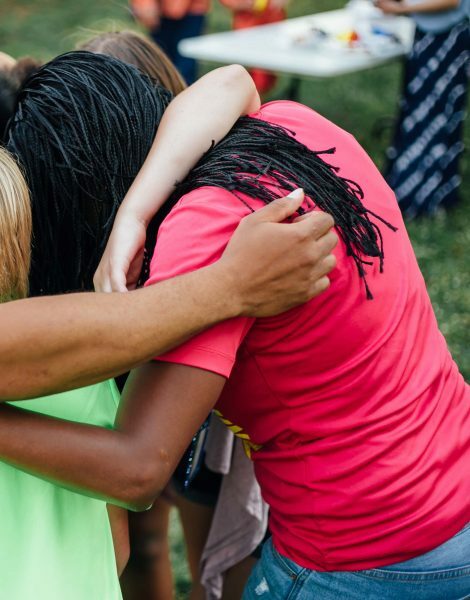 She encouraged Jazmyn that camp would be a great opportunity to connect with others, make new friends, and find peace and confidence in Christ. By the end of their tearful conversation, Jazmyn felt renewed and was excited to go to camp the following day. At 4am the next morning, Angela’s phone rang with an excited Jazmyn on the other line. “I can’t wait to go to camp!” she giggled. Angela was thrilled at Jazmyn’s excitement and hopeful for a great week ahead. The first few hours of the eight-hour bus ride went well. Jazmyn was smiling and interacting with new friends. But as the time passed, Angela watched Jazmyn withdraw. As the bus pulled up the dirt road to KAA dozens of students were chanting, dancing, and laughing with anticipation. Meanwhile, Jazmyn grew more and more anxious. That feeling would remain within Jazmyn over the following three days. While everyone else was zip lining, dancing, praying, and feeling the Lord’s love and presence, Jazmyn was hurting. She spent the first two nights in the nurses’ cabin, feeling defeated and overwhelmed. The weight of her decisions at home and broken relationships with her family and friends were heavy on her heart. Angela received a call at midnight from the nurse, saying Jazmyn was refusing to talk to anyone. So, she made the two mile hike to the nurses’ cabin and met with Jazmyn, sitting with her all night. “I told her that I understood how she felt. My daughter and I had fought when she was younger. Being young and learning about yourself is a difficult task. But there is nothing that is too great for God to handle,” said Angela. After a tearful night and an intense heart to heart, something changed in Jazmyn. The last three days of camp, Jazmyn was a new young women. She began engaging in activities, making new friends, and asking deep thoughtful questions about the Lord and His role in her life. She even lead prayer with other students. “By the time Friday night rolled around and camp was ending, Jazmyn was begging to stay,” said Angela. Jazmyn and Angela connected even more on the bus ride home, talking about God, Jazmyn’s friends and family, and her dreams for the future. The next day Angela got a called from Tonya, who tearfully expressed that her daughter was a brand new teen. She was chatting, smiling, and happy – all things Tonya had not seen Jazmyn do in months. The story doesn’t end there. The following week, turmoil hit Jazmyn’s family challenging her new-found faith. But now the teen has an added support system in City Impact. It began with Angela’s faithful mentorship and will continue with foundational faith teaching, strengths-based leadership training, and consistent love and support empowering Jazmyn to flourish in the face of adversity.